So, you’re a software tester. You’re responsible for ensuring proper test coverage of an application and as a part of your role, you’re the one logging the majority of the bugs. You need a place to track and store all of those issues. Sure, you could use a spreadsheet, but it’s almost 2018; there are much better defect management solutions available today. With so many options, how do you know which one is right for your team? We’re here to help. In this article, we’re going to take a look at some of the best defect management tools available. First, let’s talk a little bit about what to look for in a defect management tool. Before you start looking for a new defect management tool, you need to know what you’re looking for. It’s important to consider basic features like ticket statuses, email notifications, and the overall usability/experience. But it’s also important to understand how the tool can scale with your team. How does user management work? Is it customizable? Does the tool integrate with your source control tool? Reporting capabilities and dashboard visualizations also play a big role. If you’re not able to access the information and data you need in the tool, then it’s not the right tool for you. Choosing the right defect management tool is crucial to the success of your team. We won’t be going into in-depth reviews on individual tools in this article, instead, we’re going to provide a list of many of the most popular defect management tools and include a short description of each. Let’s dive in! Project managers love Teamwork Projects as it helps them organize tasks and personnel. Collaborating with customers and internal team members is easy with Teamwork Projects. Teamwork’s “Portfolio” feature allows teams to quickly see what’s happening on each of their projects at a glance. In addition to being a great defect management tool, Teamwork offers a chat and helpdesk solution too. Trello was conceived by Fog Creek Software. It has since become it’s own standalone product and company, recently being acquired by Atlassian. You can think of Trello as a virtual way of working with sticky notes on a wall board. Trello is extremely simple, and extremely flexible. Many software teams use Trello as a bug tracker by creating custom bug fix workflows using “lists” that correlate to the status of a bug. They recently released a desktop app and also provide a free mobile app. Asana is a popular alternative to some of the other leading defect management tools out there. They pride themselves in being applicable to a wide range of businesses both small and large and aim to take the chaos out of project management. Tracking bugs in Asana is easy, and they even let you create custom fields. Redbooth is a modern project management tool with a slick user interface. Their Outlook and Gmail integrations allow you to turn emails into tasks directly from your inbox. Other features include the ability to assign multiple users to tasks, project templates, and hashtags for an extra layer of organization. Redbooth also supports markdown text formatting, spreadsheet import, and much more. Active Collab is one of the defect management tools that sells a cloud-based monthly plan, or self-hosted option. One of their unique features is the ability to create invoices, making Active Collab a great all-in-one solution for agencies and consultants. You can track tasks, collaborate, track time, and bill customers all in one place. Their task viewer includes a list view, column view, and a timeline/gantt chart view. There’s no doubt that Jira is one of the biggest leaders in the defect management tools space. Developed by Atlassian, it is used to track issues, bugs, and tasks related to software development projects. Jira is extremely customizable, offers powerful search capabilities, filtering, and custom workflows. Logging bugs in Jira is as easy or complicated as you make it – issue fields can be required, or optional. DoneDone claims themselves as an issue tracker clients can understand and software teams will appreciate. With DoneDone, the entire team and your customers can be involved with the QA process. Issue tracking is done from a central hub where logged in users can receive in-app notifications on updates. This makes it easy to understand who’s working on bugs and know when changes are made to bug tickets. Additional features include ‘public issues’ for collecting customer feedback, and a tablet and mobile application. Mantis is a simple open-source bug tracker built on PHP. Options to customize notifications and issue fields, as well as role based access controls, means you have full control over your projects. They also have an active community forum where users and developers can help each other, and share ideas. Alternatively, MantisHub hosted option provides expert email support and an extensive knowledge base, as well as exclusive plugins for helpdesk, user import and chat integrations. Manuscript was developed by the same team behind Trello, FogCreek Software and previously know as Fogbugz. Key features include task subscriptions, so you’re always updated on the status of your bugs, flexible permissions, bulk issue editing, and custom workflows. Manuscript has also developed several integrations that allow you to introduce agile project management, storage, chat, and code hosting. You’ve probably heard Basecamp’s famous story of boostrapping their product and growing it to be one of the most widely used project management tools today. Basecamp is a single place to organize your projects, teams, and company wide communication. Basecamp brings together live chat, a message board, to-do’s, schedules, and docs/files for an all-encompassing power dashboard. Everyone from a building construction team to software development teams uses Basecamp. Pivotal Tracker’s hallmark feature is ‘automatic planning’. Looking at the overall team’s velocity, Pivotal Tracker predicts project timelines so you don’t have to. Organize your projects in work spaces and see them side-by-side so that you make sure you’re spending time on the right tasks. Featured integrations include Slack, Zendesk, Github, and more. Clubhouse lets you create kanban style boards where you can view multiple projects or a single project. You can sort the boards by a variety of attributes and parameters with just a single keystroke. Clubhouse uses velocity and burn-down charts to understand where progress aligns (or doesn’t align) with timelines. If you’re looking for a combination of code repository and bug tracking, Codebase might be the tool for you. They offer a broad set of features to appeal to technology companies with various needs. Codebase’s feature set includes exception tracking, which allows software teams to be alerted to errors, turn the errors into tickets, and track time spent against fixing those errors. GitHub is a popular code repository tool that has become one of the best in the space. But GitHub isn’t only for developers. In addition to forking a repo, creating a pull request, and viewing a change log, you can also manage projects by creating milestones, assigning tasks and bugs, and logging notes and ideas. While not directly intended for document management, it’s not uncommon to see GitHub used as document version control solution. Countersoft Gemini offers everything from help desk ticketing, test management, and bug tracking. Their bug tracking tool allows for customizable fields by issue type, and the ability to associate testing tasks with development tasks and customer reported bugs. According to their website, leading brands like Dell, Dyson, and Walt Disney use their product for enterprise-level technical projects. Agile development teams use Axosoft to collaborate on software development sprints using the Scrum methodology. This tool offers a large number of integrations with other communication and collaboration tools. Key features include a fully interactive kanban board and a mobile app so you can always stay up to date on when bugs are getting fixed and deployed. YouTrack offers a robust search tool to quickly filter and find issues. One common problem with issue management tools is there always seems to be duplicate bugs created by various team members. With You track, they simultaneously search for potential duplicate issues when a new issue is created, reducing the risk of having multiple issues about the same thing. YouTrack markets itself as a full project management tool with time tracking, custom workflows and boards suitable for agile scrum, kanban along with the ability for users to define your own. Redmine is a free, open-source project management tool written in the Ruby on Rails framework. Given it’s open-source nature, Redmine is as flexible as you want it to be, as long as you can write code. Redmine projects can have sub-projects, and each project includes a wiki for managing the project’s documentation. Other features include gantt charts, a calendar system, flexible notifications, and custom fields. Bugzilla is an issue tracking tool built by the team behind Mozilla Firefox. They’ve been in the space since 1998, and are often compared to Jira and Redmine. 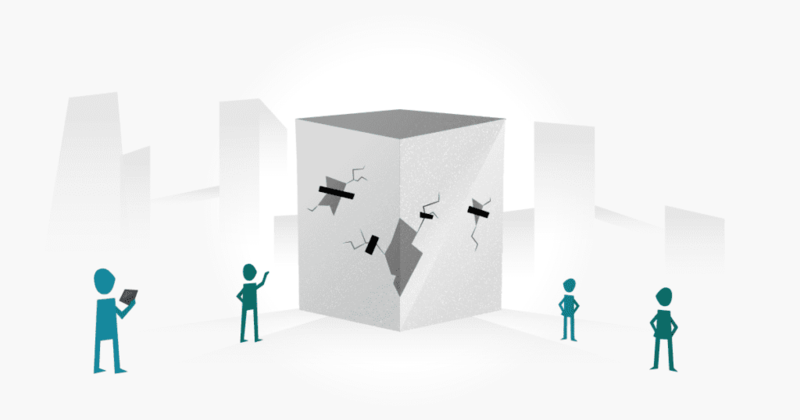 Bugzilla offers many advanced features other tools lack, including scheduled reporting, the ability to “watch” other users, time tracking, and perhaps the most impressive feature, automatic duplicate bug detection. Their customized workflows also allow you to mold the tool to fit your own processes. Unfuddle STACK is an all-in-one project management tool offering bug and issue tracking, Git and subversion repository hosting, and a code review solution. With their simple drag and drop interface, you can quickly update taskboards and milestones. Unfuddle STACK also includes time tracking, so you always know where your team is at in relation to project deadlines. Assembla’s main focus is on version control, but they also have a slick interface for managing projects tasks and bugs. Like many other tools, you can choose to view your issues in a list view, or a kanban style view. They also pride themselves in offering 24-hour support with an average 4-hour response time to customers. Integrations allow you to develop, build, test, and deploy code in an automated workflow. Built by the incubator and consultancy, entp, Lighthouse is a web-based issue tracking tool that pairs well with Tender, their customer support tool. This means creating bugs from customer support tickets is a breeze. Lighthouse gives you a single view of all of your projects so you always have a pulse on things. Their ‘automatic ticket organization’ allows for issues to be sorted and organized behind the scenes, without any interaction from you. Defect management tools are an important part of the software development process, and something software testers heavily rely on. By evaluating multiple defect management tools and choosing the right one for your team, you’ll avoid wasting time spent using tools that don’t solve the problems you need them to solve. When making these decisions, take your time, don’t rush into it. Sign up for trials, view demos, and talk to users of the products to get their thoughts. By choosing the right defect management tool, your team will be on it’s way to running like a well-oiled machine. Receive our software testing blog posts directly to your inbox once a month. Pay monthly, no long-term contracts & cancel at any time.